10 Best Must Eat Vegan Foods in Penang! Penang is the food capital of Malaysia and the annual International Food Festival showcases Penang’s food offerings beautifully. The streets of Penang (especially George Town), are a food paradise! 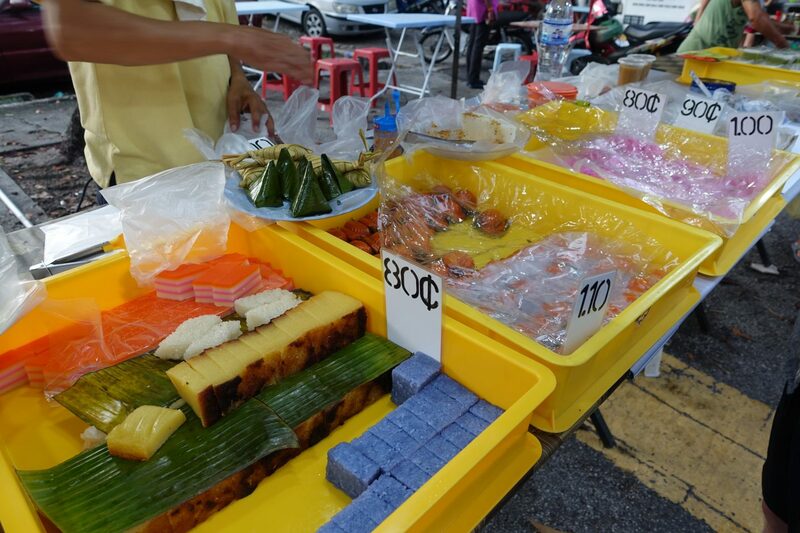 Penang’s cuisine is influenced by lots of different cultures and draws in millions of people every year. 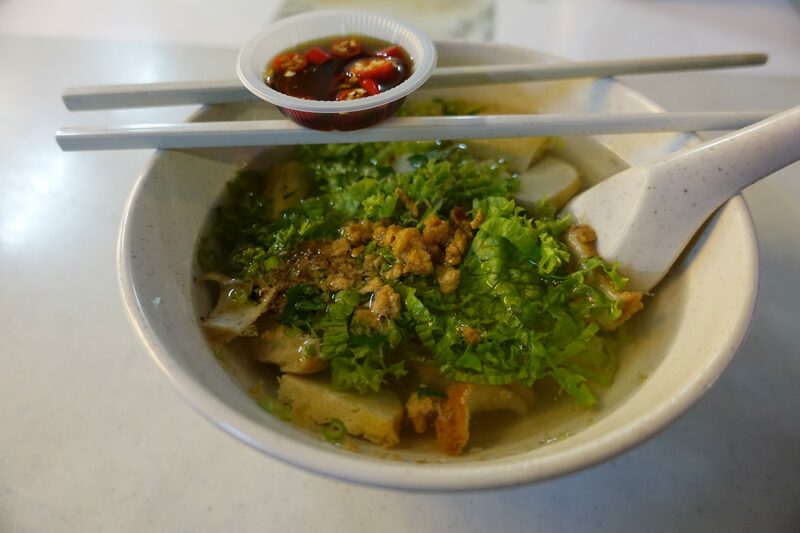 I shared my favorite restaurants in my Guide To Vegan Food in Penang (Georgetown). 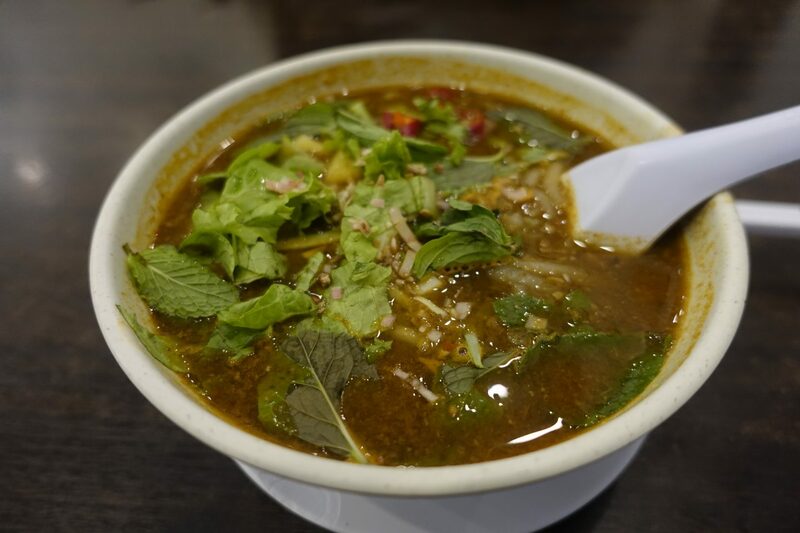 In this post, I am sharing with you the vegan foods in Penang that you must try while you are here. I ended up spending two weeks in George Town and I slowly but surely figured out what I must try while I am here and where to get it (vegan). Please bear in mind that a lot of the dishes mentioned in this post are traditionally not vegan and I’d, therefore, recommend to always double check if what you think is vegan, is indeed so. 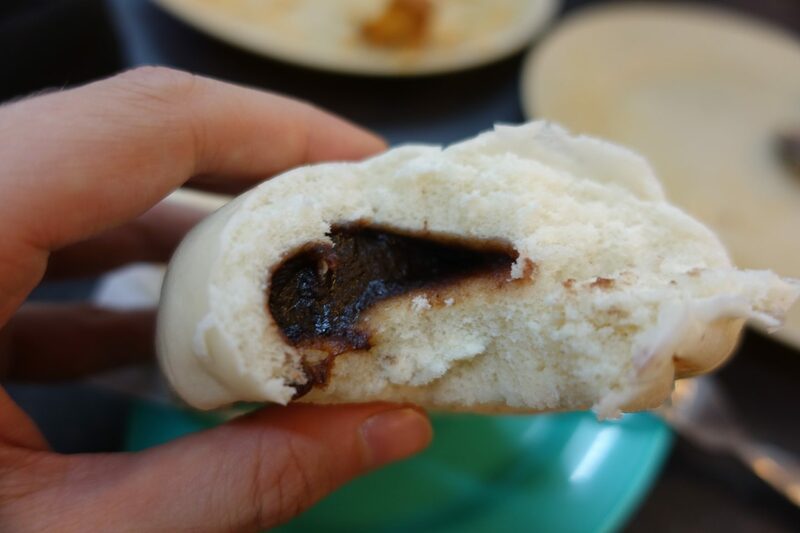 Bao is a filled Chinese steamed bread roll. The dough is usually made out of flour, water, and yeast although there can be variations. My favorite ones were red bean buns, I loved them so much, I had them almost every single day! If you want to make them yourself, have a look at this video. 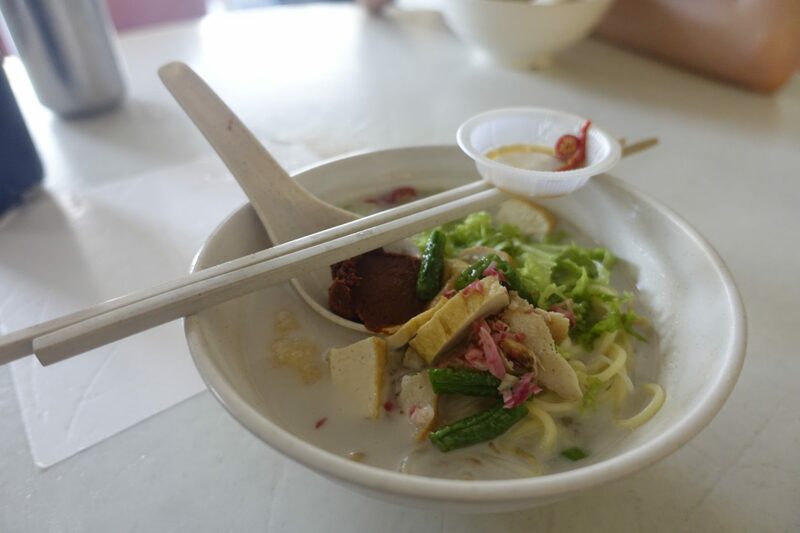 This was definitely one of my favorite must eat vegan foods in Penang! 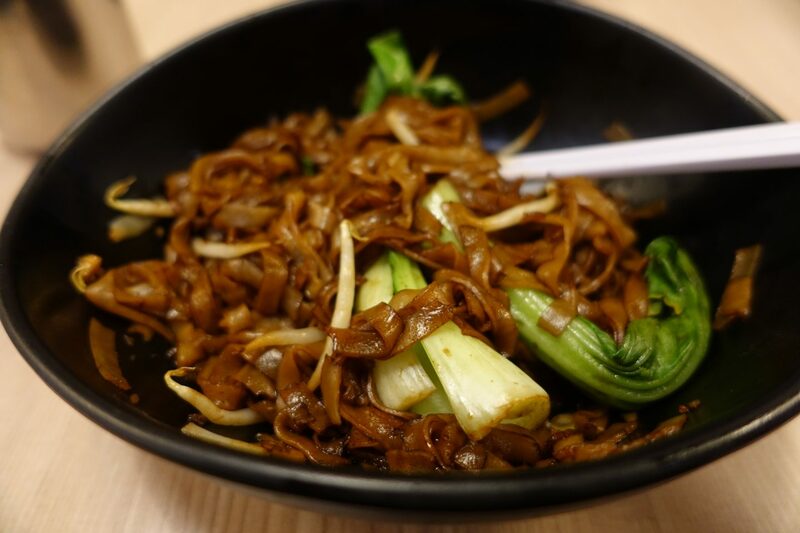 Kway Teow is a rice noodle dish that traditionally contains meat, fish and/or egg. The noodles in this dish are usually on the thicker end, and really good. I enjoyed mine with bok choy and loved it! 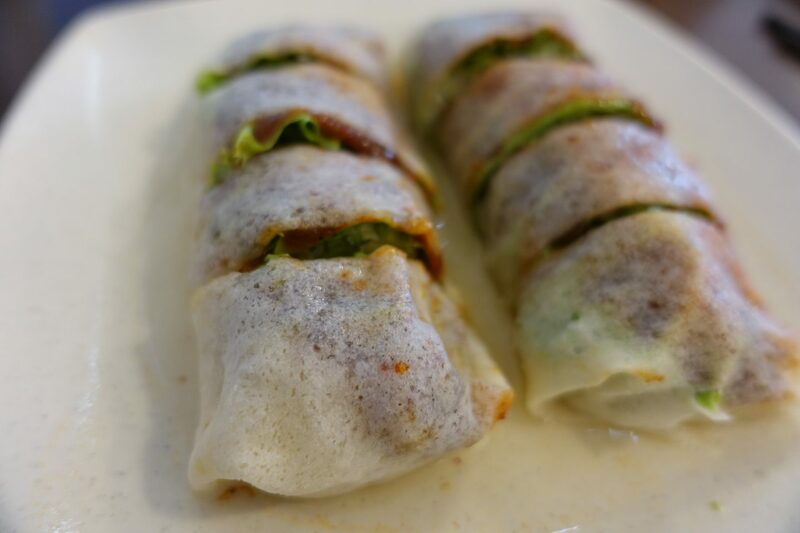 Popiah is a type of Chinese spring roll that is very common in South East Asia. It is usually made out of bean sprouts, grated turnip, and other vegetables. The spring roll can be prepared in a million different ways (with egg, shrimp paste, etc.) and it’s, therefore, always worth double checking if it’s vegan. Popiah has a unique taste, and I really liked it! 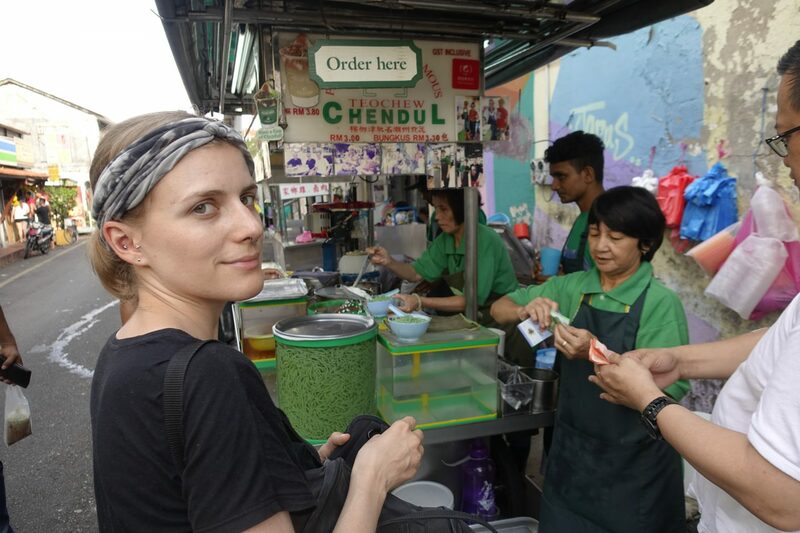 Teochew Cendol must be one of Penang’s most famous desserts. 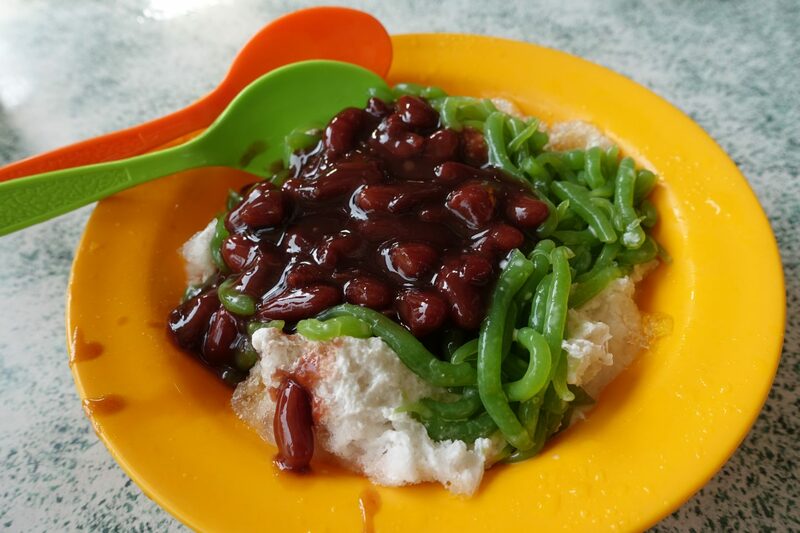 It’s a bowl of freshly shaved ice, coconut milk, chewy green rice flour jelly (cendol), red beans and coconut sugar. It’s a unique dessert, that’s definitely not for everyone. If you spot it, definitely give it a try. I absolutely loved it! The dish is usually made out of noodles, vegetables, egg, fried shallots and/or shrimps. The vegan version may contain tofu, salad, fried shallots and various other vegetables. This was one of my favorite soups ever! Nyonya Kuih are bite-sized, coconut based sweets that come in all colors of the rainbow. I love it so much, I made a separate post about Nyonya Kuih. It’s a very popular snack in South-east Asia and Nyonya Kuih comes in all kind of shapes. There’s an art to making these sweets and I highly recommend checking out “The art of making Nyonya kuih”. Ice kacang means “bean ice” and is also commonly known as “ABC”. 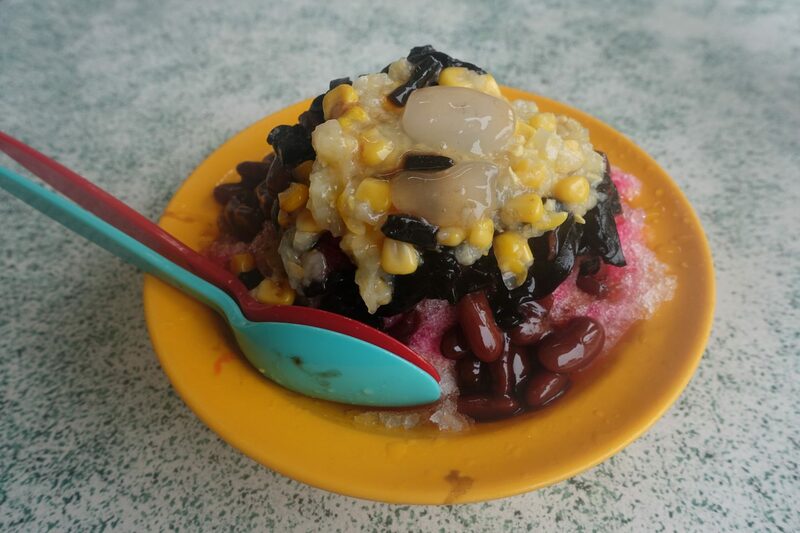 This Malaysian dessert is usually a mix of shaved ice, red beans, grass jelly, sweet corn, syrup and condensed milk. Oftentimes fruit is also added to the mix. When ordering, just make sure to ask for it to be made without condensed milk. Curry Mee is a spicy Malaysian coconut based noodle soup. Its main components are coconut milk and curry. It’s traditionally topped with shredded chicken or shrimps and the vegan version usually comes with tofu and vegetables. Oh, Laska! It’s difficult to put into words how delicious this soup is. Laska is sweet, sour and spicy – all at the same time. The soup is usually made out of white rice noodles, shredded fish, pineapples and heaps of vegetables. While Laska can be a little tricky to find vegan on the street, there are a handful of restaurants offering it. I must say, Laska was one of my favorite vegan foods in Penang. It’s so unique – don’t hesitate and give it a try! Satay is seasoned, skewered and grilled meat served with sauce. The vegan versions are usually made out of soy (mock meat). I was really curious and gave it a try and I must say, I wasn’t overly fond of it. I usually don’t eat mock meat, I prefer plain vegetables, so this didn’t really surprise me. The satay tasted a little too close to chicken to me and the sauce was way too oily for me. 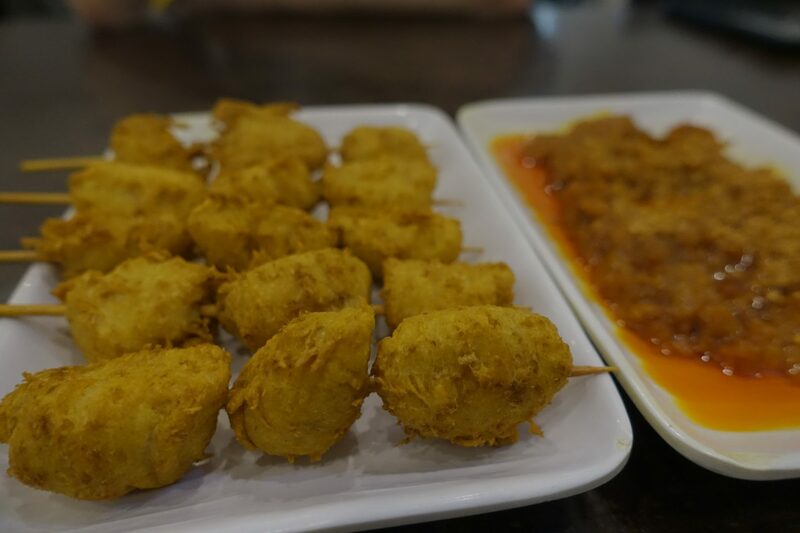 If mock meat is something that you love, definitely try satay! That was it for my must eat vegan foods in Penang. If you are a foodie, then I highly recommend you to try out these foods. For a full list of my favorite restaurants and food carts, check out my guide to vegan food in Penang (Georgetown). If you have any recommendations, for vegan food that one must try while in George Town, please let me know. I loved George Town’s food scene so much, I’ll definitely be back.